Knowledge .. that you need! MIU 8th Library Book Fair. MIU Libraries has 59 PCs for public use in both libraries. The Main Library has 5 PCs while the Scientific Library has 13 PCs and the Electronic Library has 41 PCs. Patrons can use these PCs to search in the Library Catalogue and/or search on the various online databases that the Library subscribes to. Patrons are not allowed to use these PCs for any other purposes or personal reasons. Some computers may provide access to unique and specific purposes. These purposes get priority over other activities on these computers. University libraries offer students service of photocopying documents, printing articles and scanning pictures or texts, for a fee decided by the University Libraries’ Administration. Photocopying, printing and scanning services will be available until 15 minutes before Libraries closing time. MIU Libraries has one printer in each library for public use. Patrons are allowed to download only one article of an e- journal issue at a time. Printing is available for 50 P.T. per page. MIU Libraries has one photocopier in each library. All users should abide by the Printing Policies. Patrons can print only from online resources, not their personal documents. Printing is available for 50 P.T. per page. Scan allows electronic copies of most library materials in the collections of MIU Libraries except textbooks. This service is available to current faculty members, students, and staff, as well as alumni. Copyrighted printed material may be scanned to the extent of no more than one chapter or 10% of a book or article of a periodical. All library users must abide by the Library use policy. During research periods, please limit your scanning request to a few pages at a time for the sake of others who may be waiting. 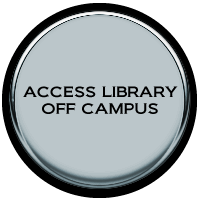 Patrons can access the various online databases through the Wifi service anywhere on campus.